This coming Sunday, 3rd June, we'll be at the Sailor's Home in scenic Kessingland. We do like playing there, and think you'd like it too. Don't forget - it's an early gig, at 3pm, so plenty of time to put a smile on your face before you need to get home and prepare for the weekly grind. Greetings, Pop Pickers! This is a note to alert those of you who haven't discovered Do You Groove Like We Groove? - our audio page (you can find it here). Over the past couple of days we've given it a bit of a makeover: we've loaded up twenty-four great tunes, free to air, which will give you a sense of what we're all about. Through the audio page you can access all the tunes at once for a seamless listening experience, or, for that more intimate moment, each tune individually, one at a time, or on its own. Part of the reason for listing them individually is to give those of you -- including potential venues -- an idea of what normally goes in our set. Though of course what's here is just a selection from an ever-expanding repertoire. The tunes were recorded live over the past few months before discerning audiences at several venues including the Rushcutters, the Louis Marchesi, the Fat Cat Brewery Tap and the Ribs of Beef -- all in the Fine City of Norwich -- as well as the Sailor's Home in Kessingland, which is where we're appearing next. We'll be there on Sunday 3 June, from 3pm. Thanks to the Fat Cat Brewery Tap for a great reception this Sunday afternoon just gone. While we were there Jean and Eric Perkins (from the Cruisers) took loads of great photos, featured here and elsewhere on our site. Thanks both! The Gull is an exciting new venue on the Loddon Road (A146) just four miles from Norwich. Originally an 18th-Century coaching inn, the new management has given it a full and very creative refurbishment with a landscaped garden (dine in mini yurts!) and outdoor stage. Indoors there's a large bar, restaurant and function room combined, This venue serves great food and drink and is a destination for local and regional foodies and beer lovers. The owner intends to make it a popular music venue too - so he's invited us to play there on Friday June 29 and Friday August 10, 8.30pm-11pm. Add these dates to your diary - come on down and enjoy dinner and a show! 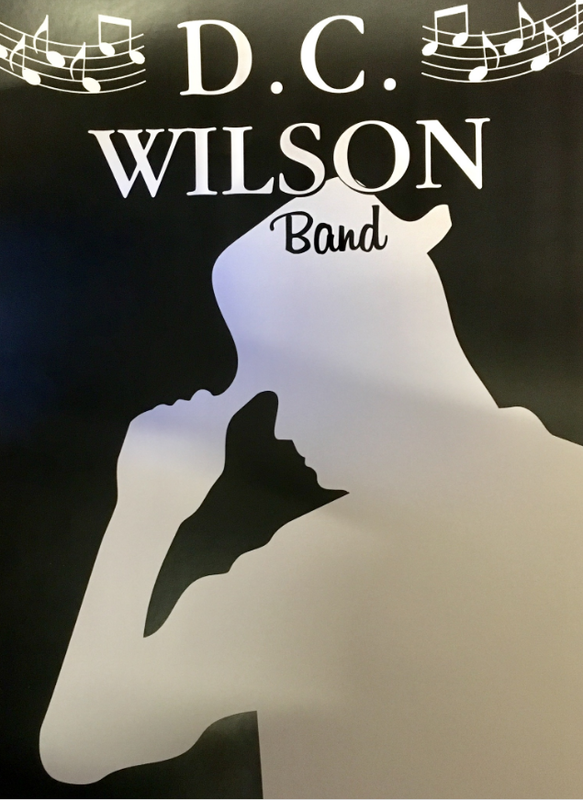 If you can't make those, there are plenty of other opportunities to see the DC Wilson band live: just visit our gigs page for an ever-lengthening list of dates. 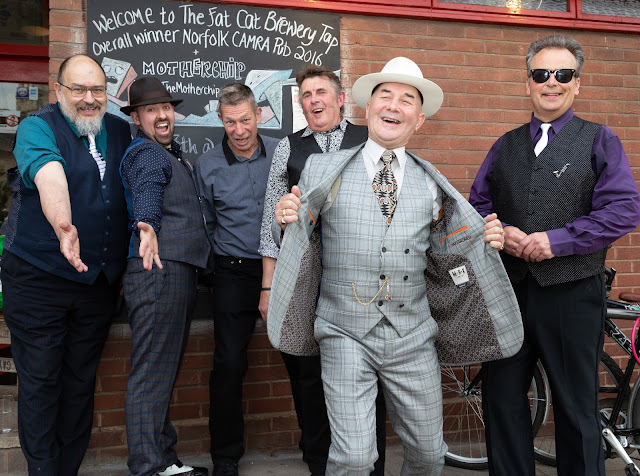 If there is a song called Walking the Dog, there really should be one called Feeding the Cat, just so we can play it at the Fat Cat Brewery Tap in Sprowston. We'll be there this Sunday, 13th May. 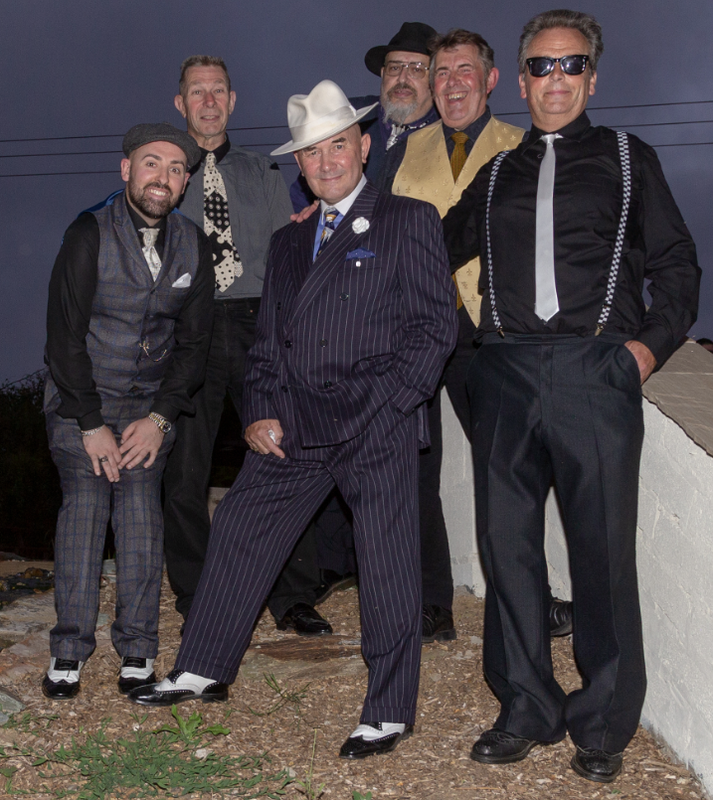 It's an afternoon date, 3pm til 5pm, so come down, relax with good food and craft beers, and enjoy the sunshiny toe-tapping sounds of your favourite road dogs. Er, sorry, hep cats.